Thank you for your interest in having us workamp for your RV park or campground. However, we are currently not available to take a new position. We will update this page when we are. Email: Please to send us an email. We are a fun, outgoing couple who began full-timing in May of 2010. We were full-timers for 2 years and are now part-timers. We travel in the warmer months and head south in the colder months. We are very familiar with camping, campgrounds and RV Parks and the generally accepted rules and operation of each. We have both held private employment and workamping positions that have given us significant experience. Jerry is also a US Army veteran. With our experience and abilities, we would be a welcome addition to your workamping staff. We do not smoke or drink, we don't use foul language, we keep our area neat and clean, and our only pet is a small, quiet and very friendly Miniature Schnauzer named Roosevelt. We are the type of folks that will pick up trash and take it to the trash can even in parks we aren't working at, and when we are assigned a job to do, we do it right the first time. We also honor our commitments. If you browse around this site and the other ones linked above, that will give you much more detailed information and a greater overall picture of us. You are also welcome to contact us with any questions. We are not available at this time. We prefer to work the same shift if both of us are needed and we like to be able to attend local Sunday morning worship services. At a minimum, we require water and electric hook ups, and Wi-Fi is nice to have if available. We prefer areas where summer temperatures do not generally exceed 90 degrees and winter temperatures do not dip below freezing. We also need to be where there is adequate Verizon cell phone coverage (or strong Wi-Fi if no cell service). We also require access to a bath house. We have experience being a camp host, extensive experience with computers, Campground Master software, web site creation and hosting, office duties, guest relations, public speaking, light housekeeping, clerical duties, retail sales, retail management, household management, house sitting, pet care, security, etc. We can also host non-denominational worship services and Bible studies, and Cynthia can even conduct exercise classes for the ladies. Aug 2012 - Present: Director of the Brent Senior Activity and Nutrition Center in Brent, AL. My job includes day to day operations of the center, extensive record keeping, organizing games and activities for the seniors, lining up guest speakers and classes suitable for senior citizens, etc. Nov 2010 - March 2012: We workamped for a 600+ site RV resort in Mission, Texas. Most of the duties were office and host related and included customer service, handling reservations, helping arriving and departing guests, selling tickets to park events, taking payments, facilitating the sale and/or rental of permanent units, mail handling, processing work orders, interviewing prospective workampers, etc. We have also conducted security patrols, light grounds keeping, read electric meters, performed site evaluations and much more. We were initially to be here for just the 2010 winter season but the owners and managers asked us to stay through the 2011 summer as well as the 2011 winter season. Jan 2007 - Apr 2010: Housekeeper. Cynthia cleaned and maintained a large estate for a Doctor in the Birmingham, Alabama area. Duties included the intricate cleaning of the 12,000 sq. ft. home, overseeing all maintenance projects being done at the home, which included contacting contractors, accepting bids and organizing meetings with the home owner. She also assisted in preparing for large social functions such as Christmas parties, anniversary parties, etc. 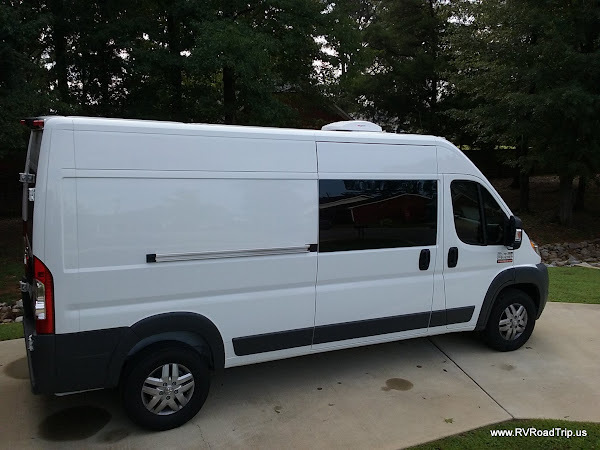 Our camper is a 2014 Ram ProMaster Class B van. It fits anywhere. We are open to doing a variety of duties and tasks. Don't be afraid to ask! We love learning new things and adventure. We are fast learners and enjoy working with people. If you are looking for honest, reliable and punctual workampers... well, you found us!